Some brands truly shined when it came to using the smartphone and tablet channels for advertising and promotions. 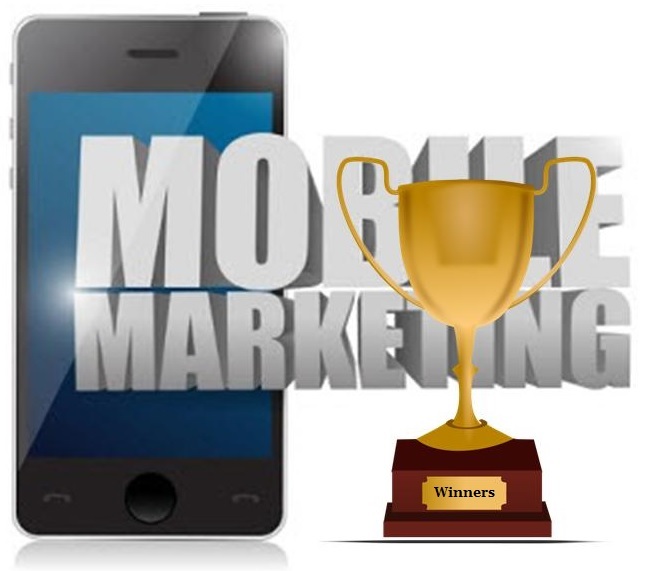 The winners of the Most Effective Mobile Marketing titles were announced at a 2013 awards ceremony in London, recently, with top brands grabbing up some of the most coveted positions. Entries of the winners came from countries around the world but primarily involved large corporations. This year’s Most Effective Mobile Marketing Awards winners include brands such as Colgate, Pepsi Co., Orange, Specsavers, Mothercare, and Warburtons. Entries for the winners came from around the globe, with countries that include the United States, the United Kingdom, Brazil, Poland, and India. There were 270 attendees representing the brands, agencies and firms for the Most Effective Mobile Marketing awards ceremony. More of the brands that came out on top at this ceremony included The Body Shop, TUI Travel, the British Journal of Photography, and Universal Music. There were also agencies that received awards, including Golden Gekko, OMD, AKQA, Appitude Media, Iris Mobile, Nimbletank, Upstream, Manning Gottlieb OMD, Leo Burnette, Publicis Blueprint, and Initiative. The awards for two different categories were given to Mothercare. Their partnership with Demandware was seen as the most effective m-commerce solution, and they also had the best b2c app. There was particular praise for this company’s application as it provides a comprehensive advice mixture, which includes a feature for a pregnancy guide that is broken down week by week. It also allows consumers to shop the entire line of products at Mothercare. The partnership between Warburton and Golden Gekko received the award for the b2b app, Red Insights Tablet. It is used by the Retail Field team of the baker for the management of inventory throughout the United Kingdom’s over 20,000 different retail outlets. It is believed that every year, 5,000 man-days worth of time are saved in data entry because of this application. In terms of the most effective mobile marketing, itself, the best advertising campaign award was given to the partnership between Intel and OMD, for a crowdsourcing campaign that employed Shazam for encouraging X-Factor viewers, last year, to star in an ad that would run at the end of the final show.